5 Bdrm Detached Dwellhouse. 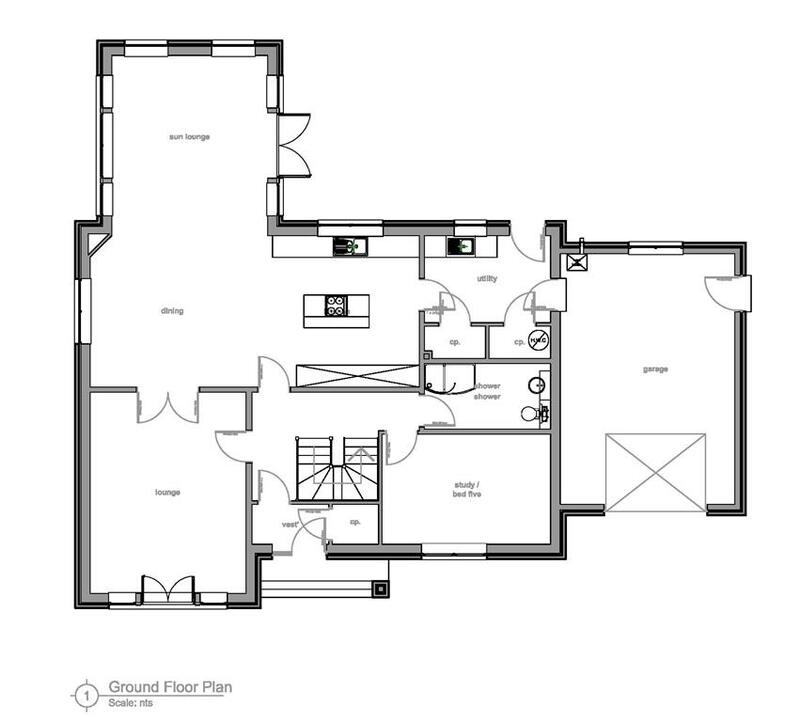 Ground flr: Lounge/Dining rm on open plan. Kitch. Sun lounge. Shower rm. Utility rm. Bdrm/Study. 1st flr: 4 Bdrms. 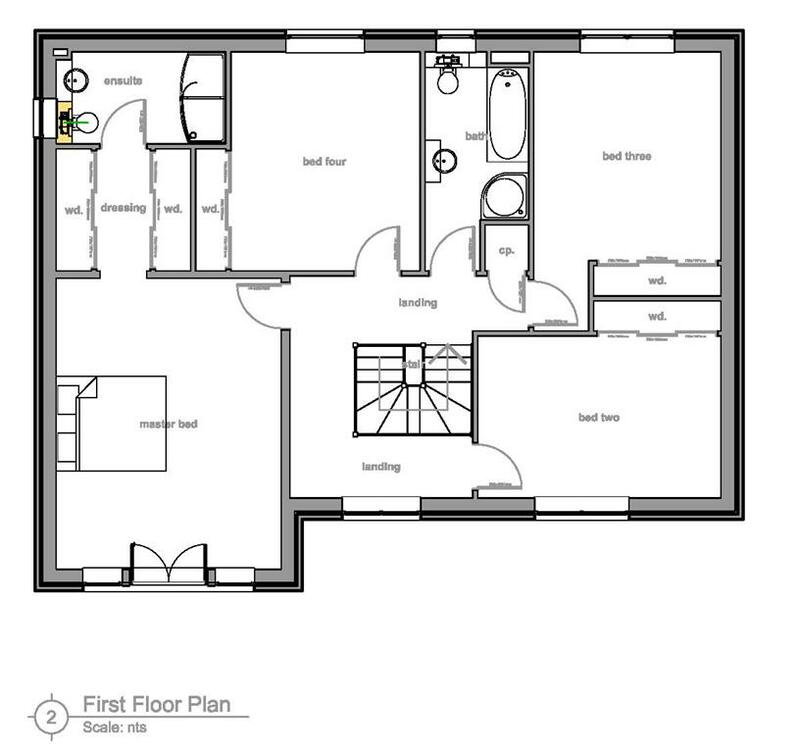 1 with dressing area and en-suite. Bathrm (CT band - TBC). Garden. Garage. Price guide £375,000 Entry by arr. Viewing contact solicitors. The home will be finished to a high specification which will include oak finishing, solid oak staircase with glass balustrade, German fitted kitchen units, integrated Neff appliances, oil central heating, solar panels to heat water, PVC windows and doors, vaulted ceilings in the master bedroom and sun lounge and French doors in the master bedroom and living room. The driveway will be tarred. The windows are designed to optimise the sunlight particularly on the front and rear elevation with floor to ceiling gable windows being one of the main features. These windows will also give open countryside views to the east and west. LOCATION Located on the road running out of the village past the school on the right hand side after the last existing properties. The village itself offers a modern primary school, village store, florist and gift shop, 18 hole golf course, football social club, two churches, two garages, bowling green and tennis courts. Further facilities including secondary schooling are available at nearby Mintlaw which lies approximately 3 miles to the west. Longside is convenient for daily commuting to Peterhead, Fraserburgh and Ellon with the city of Aberdeen lying approximately 30 miles to the south. MISCELLANEOUS The home will be built to order allowing the purchasers to have involvement in the selection of the interior furnishings and fittings including the kitchen units, sanitary ware and tiling. The price includes allowances towards these items, upgraded extras may be ordered at an additional cost.